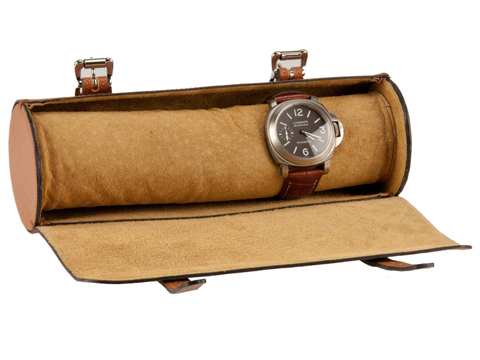 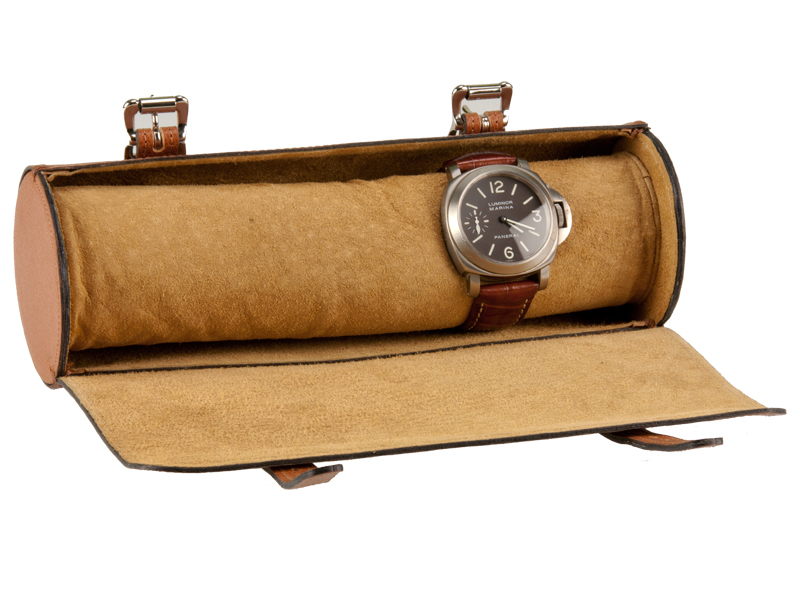 This wrist watch storage case is designed for the discerning collector who wants to store his prized time pieces safe from possible damage. 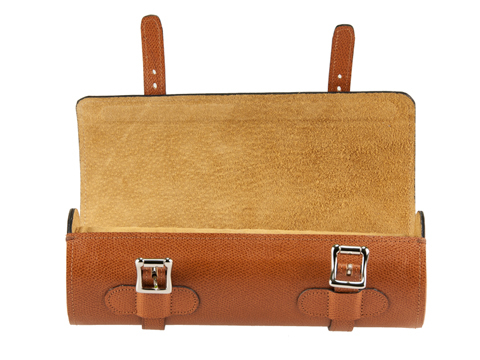 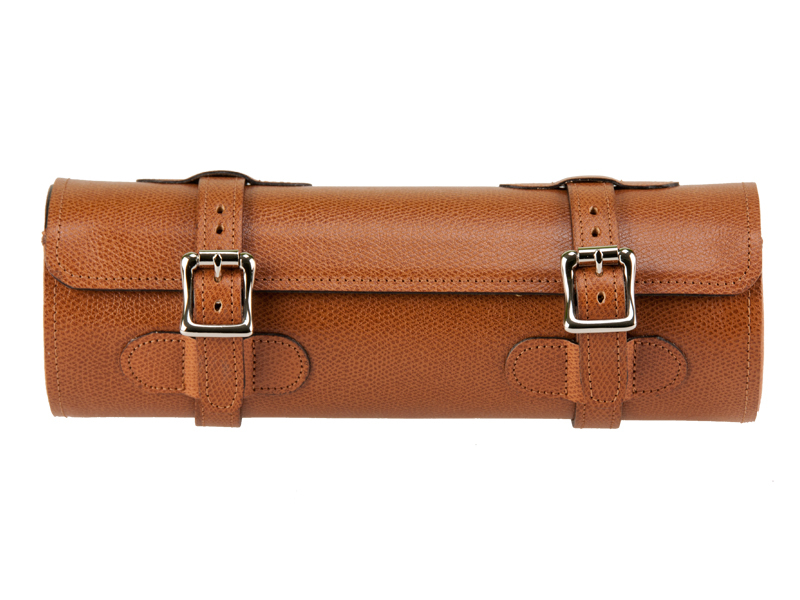 The outside is constructed from high quality leather and the inside is lined with fine pigskin suede. The leading edges are spring steel reinforced to provide extra structural strength and stability. The case is closed with two straps secured with high quality buckles.